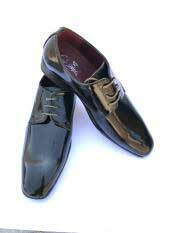 A man is judged by the kind of shoes he wears, is the belief that is followed by many. Hence it is highly important for one to choose the right shoes that best fit the outfit. 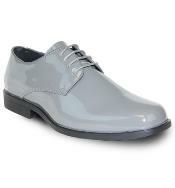 There are a number of options available in men's shoes. 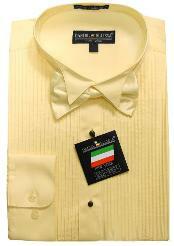 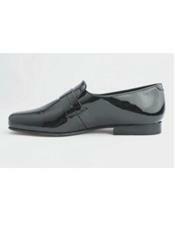 You will find formal dress shoes for men that best go well with men's suits. 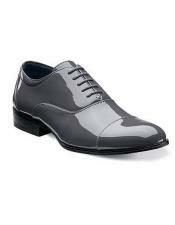 In cases otherwise where you are looking for casual shoes for men, you will find classic options in casual sneakers, casual men's shoes and so on. 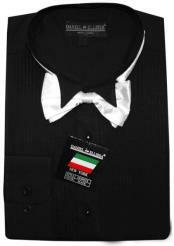 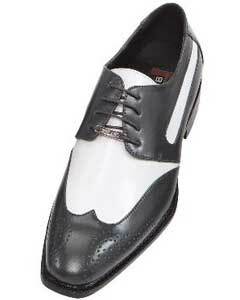 When you are dressing up for formal occasions like weddings and prom nights which require you to get dressed in tuxedos, you can opt for men's tuxedo dress shoes that will best match tuxedo as an outfit. 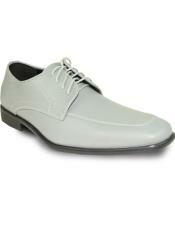 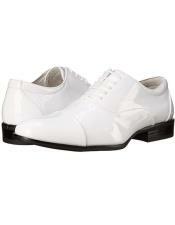 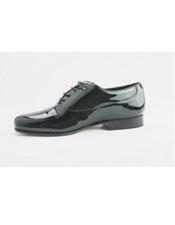 Men's tuxedo shoes come in different patterns, styles, designs and colors. 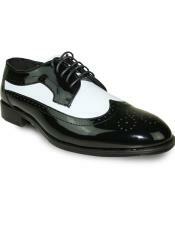 You can pick the best tuxedo shoes that are an exact match of the color of the tuxedo. 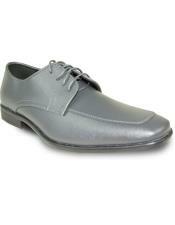 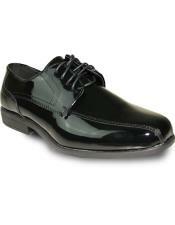 There are various shades that are available in tuxedo shoes for men. 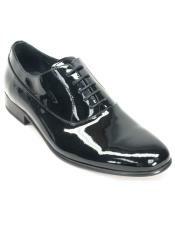 Tuxedo men's shoes come in various fabrics like leather, velvet, suede and so on. 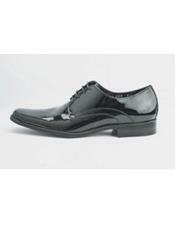 When it comes to leather tuxedo shoes, you can wear them with other formal outfits as well like blazers and suits. 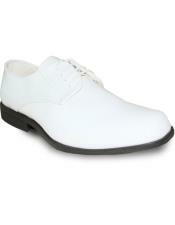 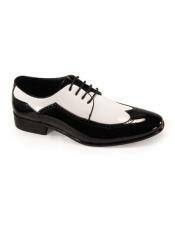 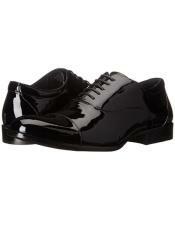 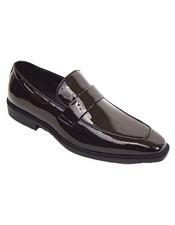 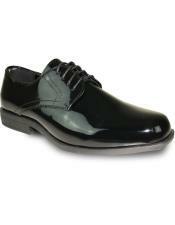 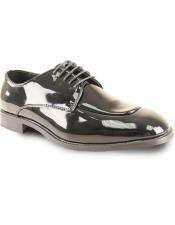 There are some amazing and stylish options available in men's patent leather tuxedo shoes. 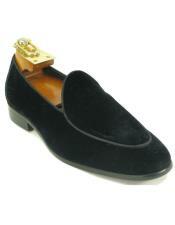 While velvet tuxedo shoes can be worn at rare occasions that are highly important. 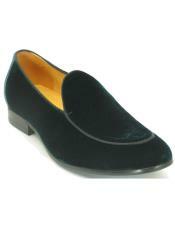 Suede tuxedo shoes for men resemble the velvet tuxedo shoes but are more frequently useable than the velvet tuxedo shoes. 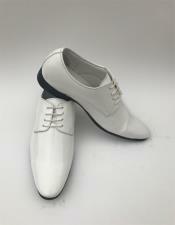 the overall look of suede shoes is stylish and fashionable. 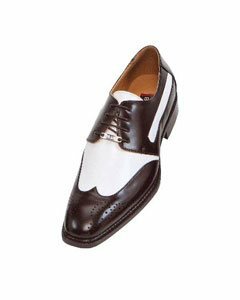 A number of color options in men's tuxedo shoes include the black tuxedo shoes, white tuxedo shoes, brown tuxedo shoes, red tuxedo shoes and so on. 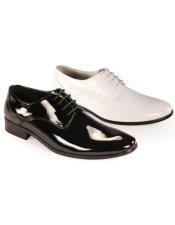 There are dual tone color options available as well when it comes to tuxedo shoes. 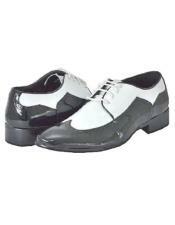 Apart from a number of color options available in dual toned tuxedo men's shoes, the black and white tuxedo shoes make the best tuxedo shoes choice ever, this mainly because most men prefer to go for the traditional tuxedo color - black and white. 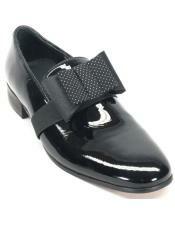 A black tux brown shoe is also a commendable combination that many men opt for. 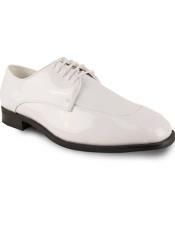 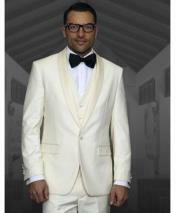 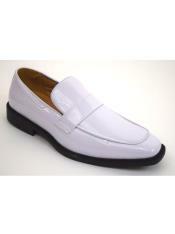 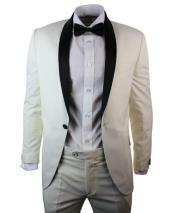 Instead of opting for shoes to wear with tuxedo, many men are following the new trend of tuxedo slippers. 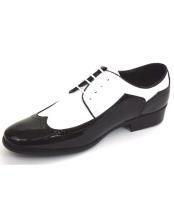 Men's tuxedo slippers are specifically worn with tuxedo suits. 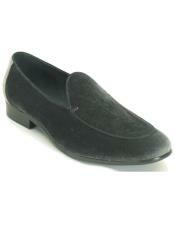 They are nothing but a resemblance of the slip on tuxedo shoes for men. 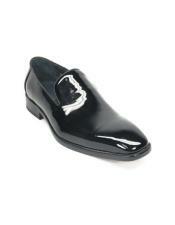 Follow the trend and pick a tuxedo slipper for you. 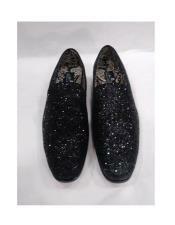 You will find amazing collection of tuxedo shoes for sale at our online store. 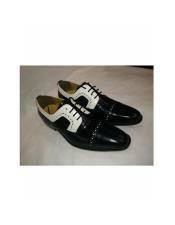 We sell men's patent leather tuxedo shoes, velvet tuxedo shoes, suede tuxedo men's shoes all at discount and affordable prices. 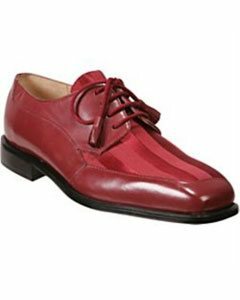 Browse this category to shop for amazing collections and different and unique patterns in men's tuxedo shoes collection online.